TGIF! And to celebrate, I wanted a little sparkle on my nails. So what better choice than a little linear holo in what I affectionately call Command Gold (after Star Trek)!?! 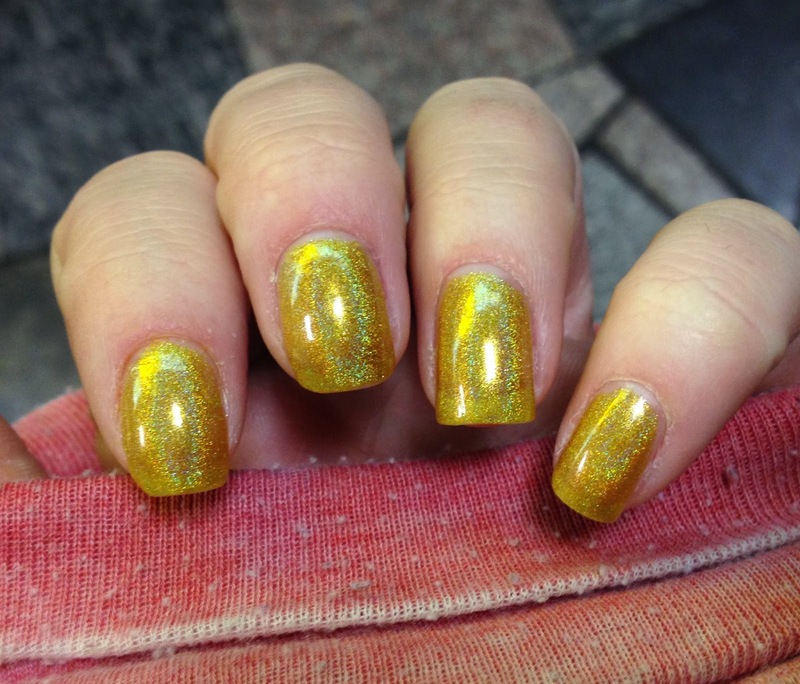 Jade Mystic Gold is a gold linear holo polish. The above is with three coats, but you can still see some visible nail line. It's just as visible in person as in the photo. Here, it has a marigold sort of tint indoors, but you can see below that it has a much truer gold look in sunlight. I actually wore Mystic Gold last weekend when, as many of you saw on Facebook, I underwent surgery. I was only allowed to wear nail polish if they could still see my nails underneath and I thought this was a good compromise. The doctors and nurses LOVED it, actually. It was kind of funny. I have a bunch of different Jade polishes in my stash, though this is the first one I've swatched. Jade is a Brazilian company that makes a ton of different finishes, but my favorite are the holos in the Holografica collection. They're also reasonably priced at a price of $7-$8, which is right on par with a lot of salon brands. The only downside is that you can't purchase them in stores, but can purchase them from stockists such as Llarowe. (Link will take you to the Jade Holograficas collection). I know that Llarowe offers free shipping on orders over $50, so with six or seven polishes, you'll get them shipped for free. What do you think of Mystic Gold? 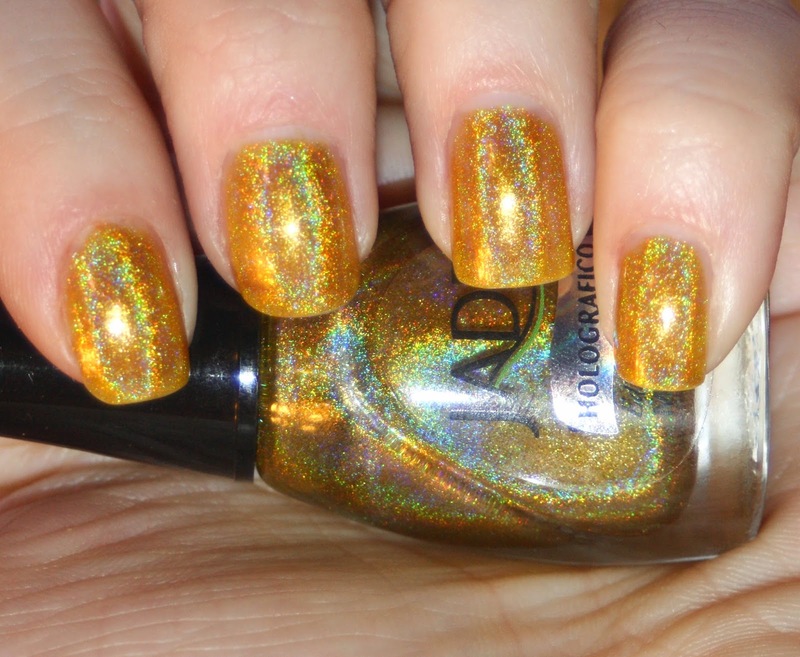 Would you like to see other Jade holos on the blog? This is definitely a great polish for needing to see your nails underneath! The holo effect is awesome! This polish was the first holo I bought. It's been a slippery slope since!